Great news, starting 5/01 the Homeowners Association dues will be lowered to $99./month! I fell in love with this home the first time I saw it and you will too! A Florez & Florez design and construction by Landmark Custom Homes, this well thought out former Davidson model with its open flow exudes warmth and grace. 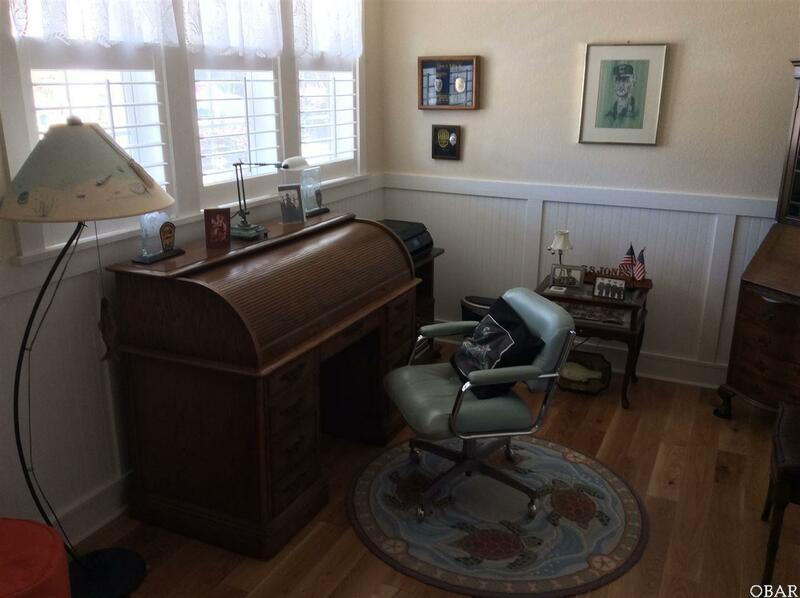 A rare find as new construction does not currently offer homes with such square footage. As you enter the spacious foyer you are greeted by gorgeous stain glass and gleaming wood floors in the hallway and the den. Youll also find a powder room for your convenience. The great room is such an inviting space, the windows are flooded with natural light making the magnificent stain glass such a delightful experience. Yes, the stain glass art work conveys! The dramatic high ceilings, the wood floors and the natural gas fireplace and lovely trim makes for a warm and cozy space. Here is a special treat, the main level heat pump offers natural gas heat (Piedmont Gas). Such a warm feeling and very reasonably priced. The addition of the enclosed sun room will inspire you. Sit and contemplate life as the birds and squirrels entertain you. Too much sun? The sun shades will take care of that. The kitchen overlooks it all offering stainless steel appliances with enough counter space to seat six comfortably. The glass tile back splash is a treat with its warm and inviting colors, youll also find a pantry and a walk in laundry with ample storage and a stain glass transom window above. The bead board in the kitchen, dining room, hallway and den ties it all very nicely. The master bedroom and en suite is conveniently located on the main floor. Youll find brand new carpeting, many windows and access to the enclosed sun room. The generous bathroom offers a soaking tub and separate shower. 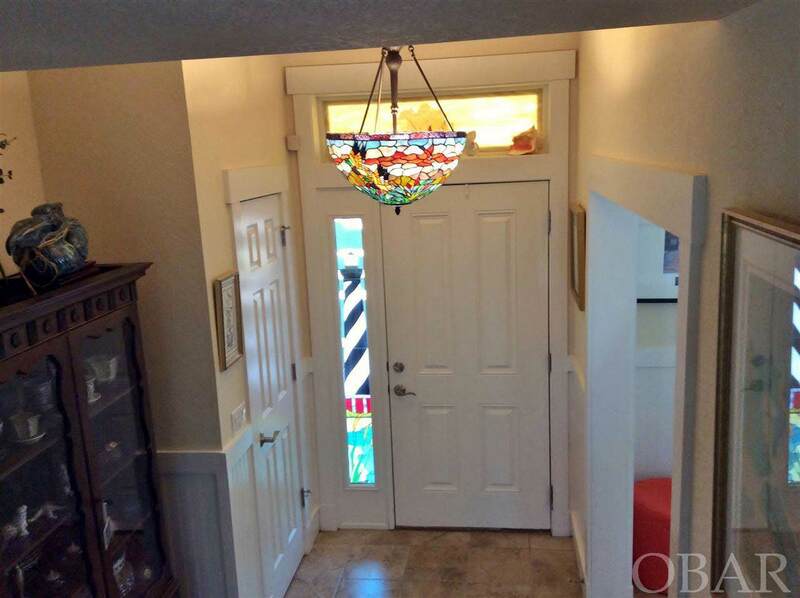 Climb the stairs to find a spacious loft overlooking the great room and all that gorgeous stain glass. 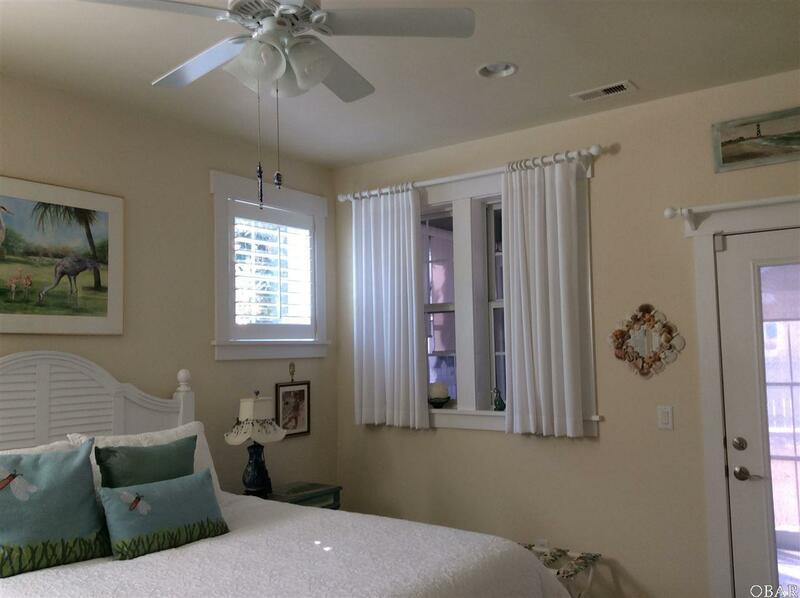 All the bedrooms are such a surprise, spacious and bright with abundant natural light. To each his own retreat! Youll find neutral carpeting, spacious closets, some walk-in, ceiling fans and plantation shutters throughout and 3 attic storage areas. A natural gas generator provides the ideal back up. Add to this a two car garage, well maintained hardy-board siding, hurricane shutters, a fenced in yard, a covered front porch and a sun room. Wait, theres more.the gas grill is also hooked up to natural gas. What an ideal location, the Waterside Villages of Currituck community and its awesome amenities are situated near the Outer Banks beaches, the VA line and Elizabeth City. The original owners have taken meticulous care, please find the following upgraded over the years: upper floor heat pump, sun room & shades, stain glass, wood floors, master bedroom carpeting, plantation shutters, hurricane shutters, natural gas generator, transom windows, glass back splash, beautiful stain glass, bead board, storm doors, ceiling fans, bathroom light fixtures. See attached list. 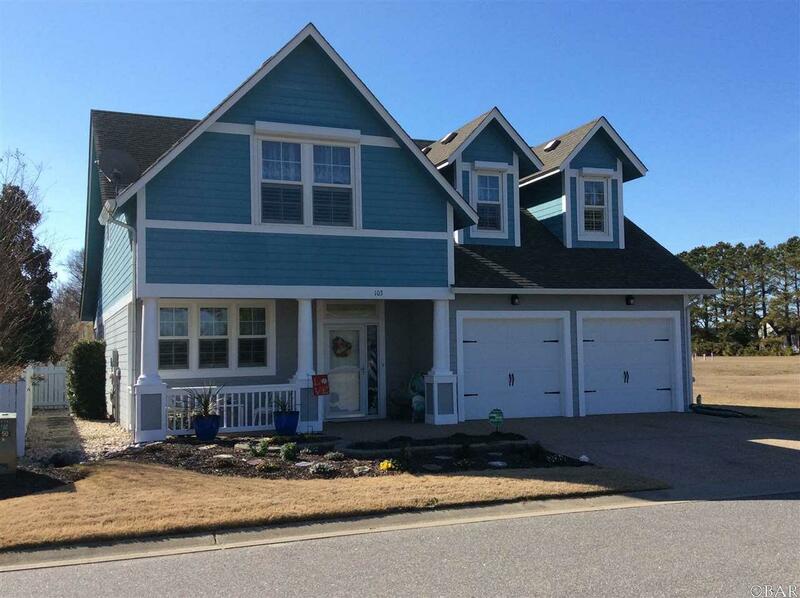 Listing courtesy of Johanna Holcomb of Coldwell Banker Seaside Realty.